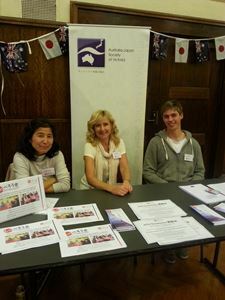 Every year, the Society holds many social and business functions; all aiming to give members a chance to meet, introduce their friends and guests to other members, and keep their interest in Australia’s relationship with Japan. We have a great selection of events planned for 2017. Come along and bring a your friends, family or colleagues! Interactive sessions on key topics of interest to Members. Check the website for 2017 sessions - always informative and great for networking. The Annual Dinner is co hosted with JCCI and JSM. With a range of VIPs in attendance – a must-attend event! A great event networking and generally doing some business out of the office! A bi-monthly event in the city for business professionals to network and socialise. Normally at a quiet venue with reasonably priced drinks. Held on the 2nd Thursday of the month. 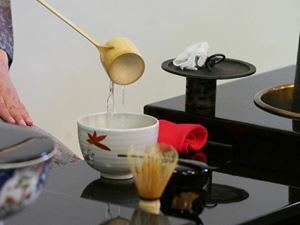 In addition to our regular activities, at the Society is involved in or notified of the staging of special events connected with Japan. 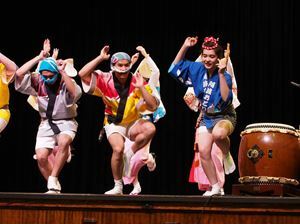 This can include performances by visiting Japanese dancers, musicians and artists. Information about these events would be included in our weekly e-newsletter.